This morning, I woke up, tuned to 9,580 kHz and all I heard was static. Other than when the Shepparton transmitting station has been silenced for maintenance in the past, 9,580 kHz is one of the most reliable frequencies I’ve ever know on shortwave. Radio Australia has met me there every morning I’ve listened since I was eight years old. I feel like I’ve lost a dear friend and certainly a staple source of news on shortwave radio. I know I’m not alone–a number of readers have shared similar sentiments this morning. 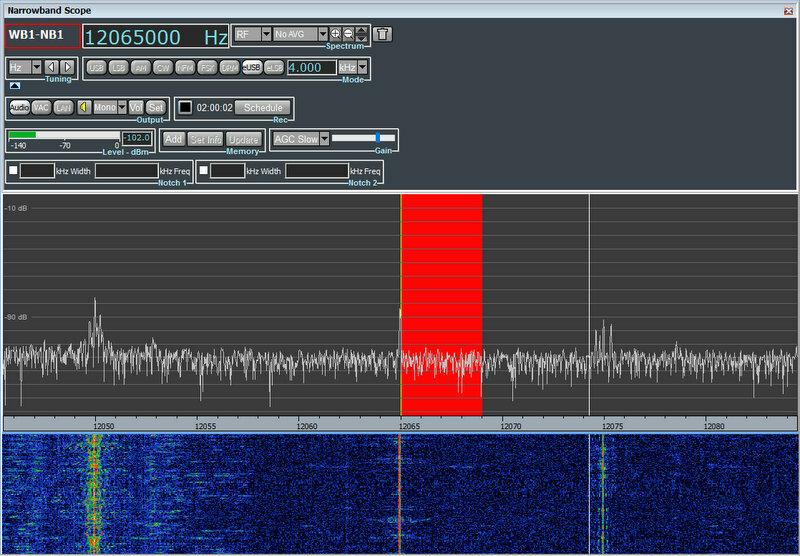 Listening to Radio Australia on 12,065 kHz with the Titan SDR Pro. Since the beginning of the year, a few of us have been making a concerted effort to thoroughly archive Radio Australia’s final days on the air. Mark Fahey, London Shortwave, Richard Langley, Rob Wagner and I (to name a few) have been making both audio and/or spectrum recordings. 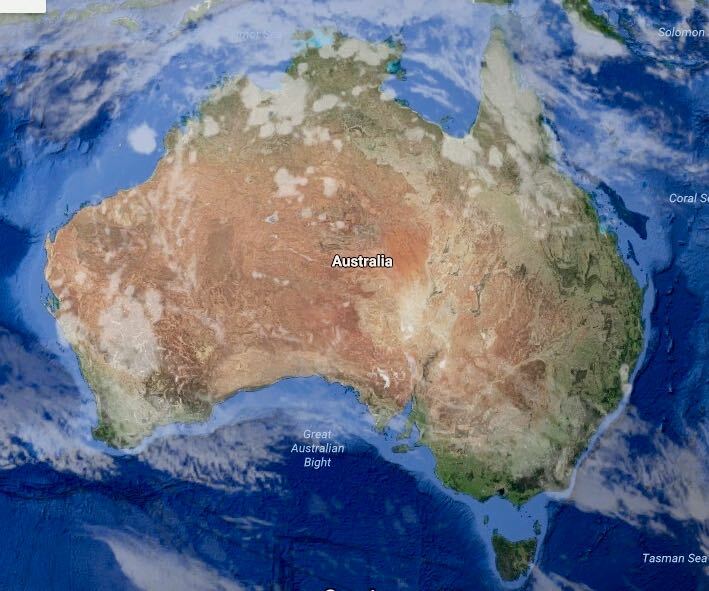 At 0100 UTC on January 31, 2017, we heard the “Waltzing Matilda” interval signal for one last time. As I understand it, the crew at the Shepparton site left the transmitter on a few extra seconds extra so their famous interval signal would be, in essence, the final sign-off. Our friend and contributor, Rob Wagner, from Mount Evelyn, Australia, posted an excellent recording/video of the final minutes earlier today. Due to propagation and the time of day when the shut down happened, I was unable to make a recording, so I’m pleased others could. 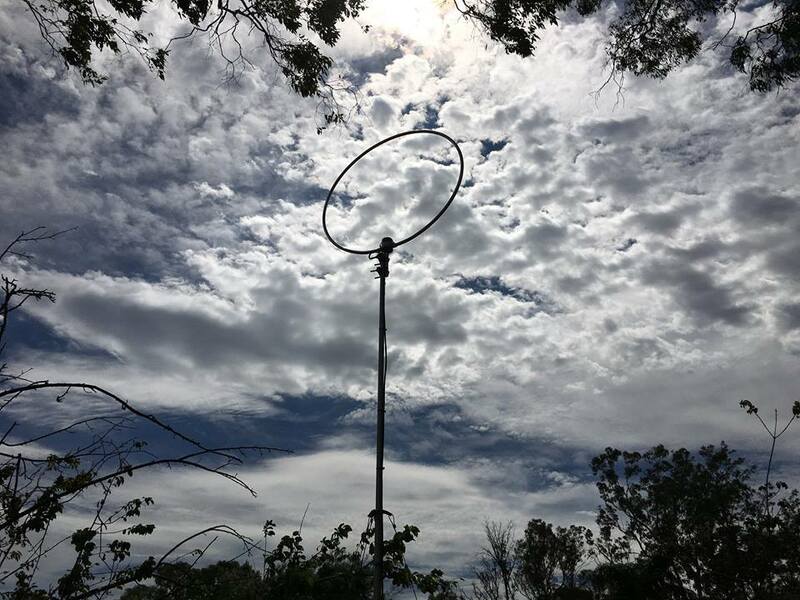 Mark Fahey’s Wellbrook Mag Loop antenna. I’m grateful to friend and contributor, Mark Fahey, who lives near Sydney, Australia, and was also able to record the final moments of Radio Australia as well. Mark recorded the shortwave service and RA satellite feed simultaneously. Some differences to the first file – Radio Australia is produced in FM quality stereo, though of course DXers only ever heard it in shortwave quality mono. So this network feed is in stereo and has a wider dynamic range that what DXer’s are familiar with from Radio Australia. At the end of the Pacific Beat Promo, Radio Australia goes straight into News, the closing of the shortwave service was not an event that would have been noticed for the typical listeners of RA who now listen via FM in Pacific capitals and major towns. Thank you Mark for your comparison–I’ve never heard RA so clearly. Only you would’ve thought to simultaneously record the satellite feed! It gives the moment that much more context. A number of SWLing Post contributors have been sharing recordings this morning. I will plan to collect these and put them on the Shortwave Archive in the near future. Rest assured: if Xenophon’s legislation gains traction, we will post updates! No doubt, Radio New Zealand International’s shortwave service has just become that much more important in remote Pacific Islands. Click here to view RNZI’s schedule. This entry was posted in Broadcasters, International Broadcasting, News, Nostalgia, Radio History, Recordings, Shortwave Radio and tagged ABC Cuts, ABC Northern Territories, ABC Northern Territory Shortwave, Mark Fahey, Radio Australia, Radio Australia Cuts, Radio Australia Final Broadcast, Radio Australia Pacific Service Cuts, Radio Australia Shortwave, Radio New Zealand International, Recordings, Rob Wagner on January 31, 2017 by Thomas. One of the things I now regret is that I didn’t make more recordings of radio stations from my listening days in the 1970s and 80s. I have very few audio examples of stations operating at that time. So disappointing! 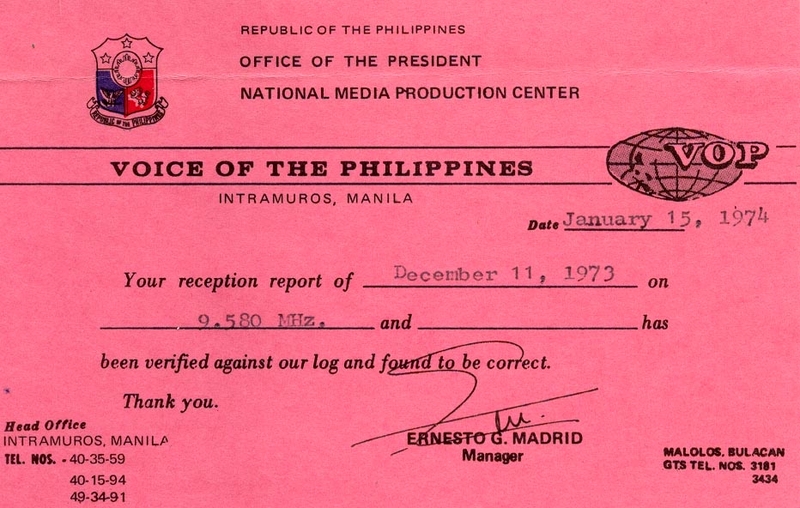 However….a few weeks ago, I stumbled across a recording I made in December 1973 of Radyo Pilipinas, The Voice of the Philippines (DZRP). After a bit of audio engineering on the deteriorating old cassette tape, I’ve managed to somewhat improve the tone quality. I also found an image of the QSL card from that exact transmission on December 11, 1973 on 9580 kHz. I’ve posted the recording on YouTube – click the embedded video below. This is for those of you who can remember and for those who enjoy some radio history! This entry was posted in International Broadcasting, Radio History, Recordings and tagged Rob Wagner, Shortwave Radio Recordings on January 12, 2017 by Rob Wagner. Tecsun PL-680: Just How Sensitive is This Radio? More than two months ago, in the Mount Evelyn DX Report I posted a review of the Tecsun PL-680 portable receiver, entitled Tecsun PL-680 Beats Expectations. In that article, I pointed out many of the positives and a few of the flaws surrounding the unit. At the end of the review, I promised I would do some sensitivity tests on the radio. Well, I finally got around to completing the tests, and the results are in. Below is a YouTube video showing a practical demonstration of the receiver’s capabilities in this area of performance. The portable Tecsun PL-680 receiver is a hot little radio! As these tests show, it appears to be very sensitive to weak signals. Here, we put the little 680 up against one the best HF transceivers on the market today – the Yaesu FTDX3000 transceiver. The receiver in the 3000 is quite brilliant! And it has all the “bells-and-whistles” to make it even better at digging out weak signals and reducing adjacent channel interference. However, in these tests we turn off all the fancy facilities on the FTDX3000 and just run the two receivers side by side to see how the 680 compares. We use the same antenna and we plug both radios into the same external speaker, adjusting as close as we can to equal volume and tone quality. We select a variety of shortwave broadcast stations over a range of frequencies from the 60 through to the 16 meter bands. I think you’ll discover that the Tecsun is really a very good performer when it comes to sensitivity! My Tecsun PL-680 Beats Expectations review in MEDXR is an updated version of a column I wrote for the August issue of The Spectrum Monitor magazine. This entry was posted in Portable Radio, Radios, Reviews, Shortwave Radio Reviews and tagged Rob Wagner, Tecsun PL-680 Review on December 8, 2016 by Rob Wagner. I have been procrastinating over investing in another portable shortwave radio to replace my ageing (but still going strong) Sangean ATS909. Also known in the U.S. as the rebadged Radio Shack DX–398, the Sangean has been a most reliable rig for in-the-field DXpeditions. My unit is one of the early first generation versions that I purchased on the second-hand market, so I’m guessing it has to be at least 16 years old now. It continues to provide a full rich tone quality on AM/FM and is very sensitive on shortwave providing you use an external antenna of 5 metres (16 feet) or more. The radio received some bad press because of its poor SW reception using just the telescopic rod antenna, which frankly was justified. The in-built whip is useless! But all of my work has been with an external antenna, and the results have been most successful over the years. But the old ATS909 has lived a hard life, having been bounced around in the car on rough dirt tracks, dropped a few times, and thanks to a recent home renovation project it now has paint splattered all over it. On one occasion, I’d even left it outside on the ground after a spot of gardening, subjecting it to half an hour of heavy rain, before realising my forgetfulness. The radio was soaked but still going strong when I picked it up. However, the digital readout was all messed up. After 24 hours of drying, and it fired up beautifully again, and has been fine ever since! That’s some impressive build quality there! Thanks Sangean! 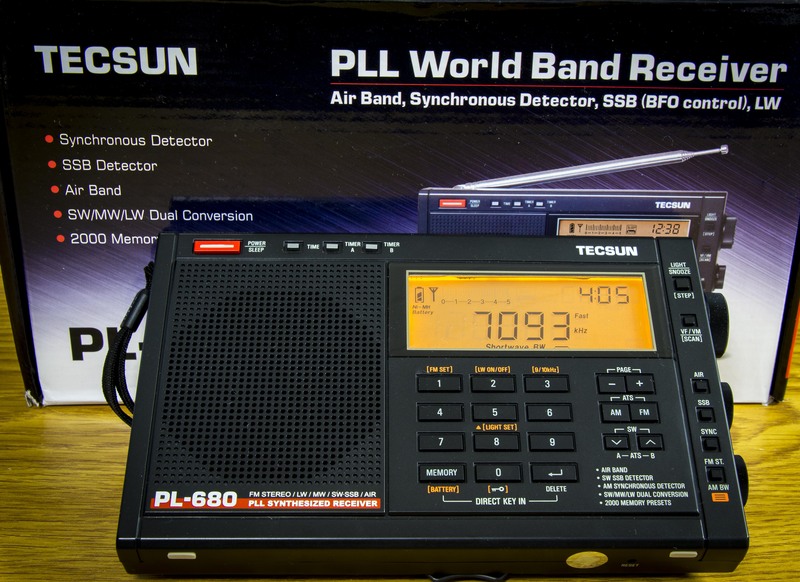 Anyway, a few months ago I decided to “pull the trigger” and purchased a new Tecsun PL-680 AM/FM/SSB/Air Band radio. This rig has been on the market since around February 2015. So far, it has performed very well for me. Interestingly, on the built-in telescopic antenna reception is only marginally better than the Sangean, but the Tecsun is really quite sensitive with an external long wire antenna. In fact, I’ve had it hooked up to my three double bazooka (coax) dipoles for 80, 40 and 20 meters, and the performance has been excellent. The tone quality is not quite a good as the Sangean, lacking richness and depth on MW, FM and SW. But for DXing, the audio appears just right for digging out clear audio from the noisy shortwave bands. 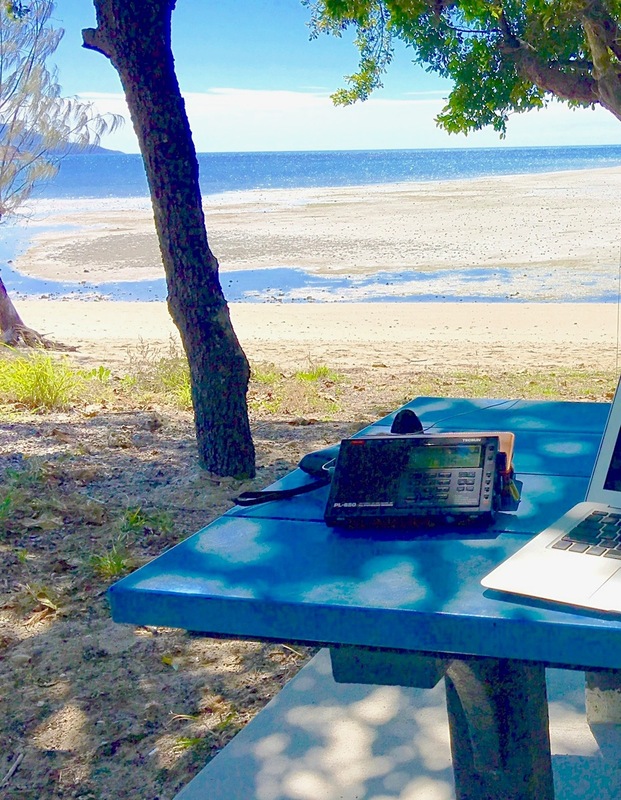 Recently, I hooked up both portables for a side-by-side comparison using four different external antennas outside the shack with switches between the two radios. I was eager to check how they measured up in terms of sensitivity and selectivity. The results for the Tecsun were impressive, picking up all of the weaker signals that the Sangean could hear. 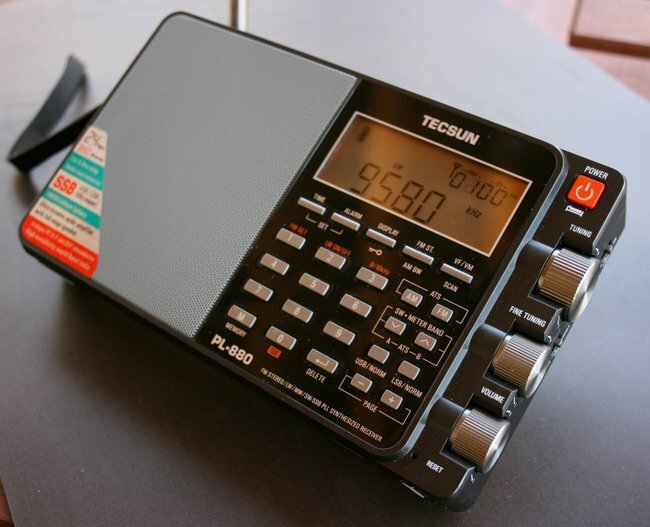 Indeed, on several shortwave broadcast bands, the Tecsun appeared to be just a touch more sensitive at digging out some of the weakest signals. The audio also appeared a little clearer for those weak signals, perhaps because it has a narrower audio response than the Sangean. And selectivity for the PL-680 was about the same as the ATS909, generally very good. On the ham bands, however, the SSB audio quality of the ATS909 sounds more pleasant to my ears than the PL680. But the Sangean’s tuning process in SSB is somewhat more cumbersome than for the Tecsun. The PL-680’s synchronous detector effectively reduces adjacent signal interference. It’s easy to use and is a strong feature in its favor. However, occasionally it can fail to lock on to a weaker signal or when the signal is subject to deep fading. One other characteristic of the Tecsun is that it has a rather overly generous S-meter, hitting S4 or 5 for all but the weakest signals. This is a meter not to be taken too seriously! But the PL-680 is not without its faults! This entry was posted in New Products, Portable Radio, Radios, Reviews, Shortwave Radio and tagged Rob Wagner, Sangean, Sangean ATS909, Tecsun, Tecsun PL-680 on October 11, 2016 by Rob Wagner.